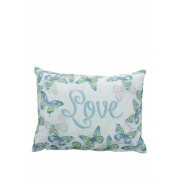 Bring spring into your bedroom with this beautiful hand drawn butterfly print Appletree cushion. 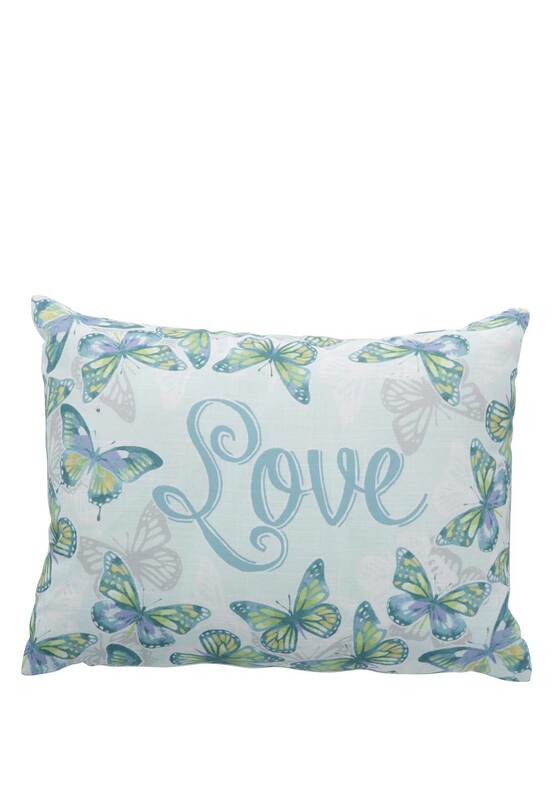 In shades of aqua greens lilac, and aqua on a duck egg background with the word Love is central to add a special finishing touch. 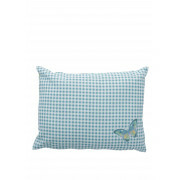 Complete the Appletree Lottie set with this chic cushion for a complete look.